This zine is a 28 page booklet. 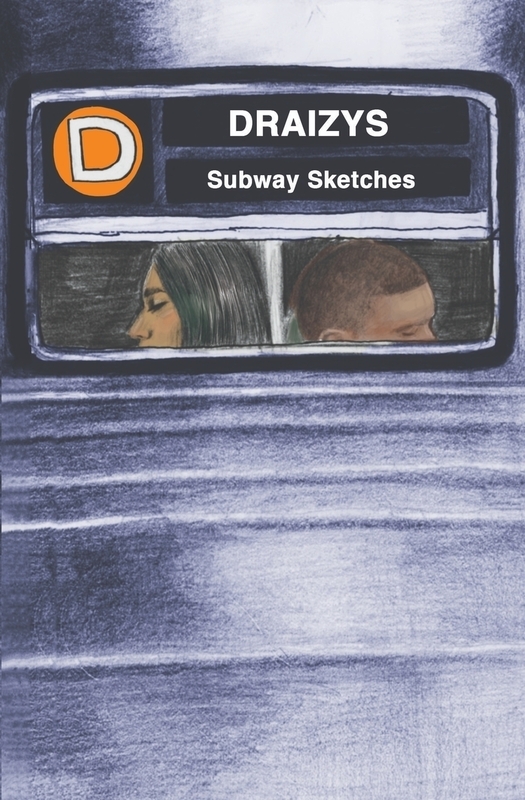 Contains 26 illustrations that i've completed on the Subway, specifically the D train. On my rides to work and social gatherings I carried a small sketchbook. My goal was to draw only from my imagination with no reference. Thanks to the MTAs many delays I was able to render to my hearts content. 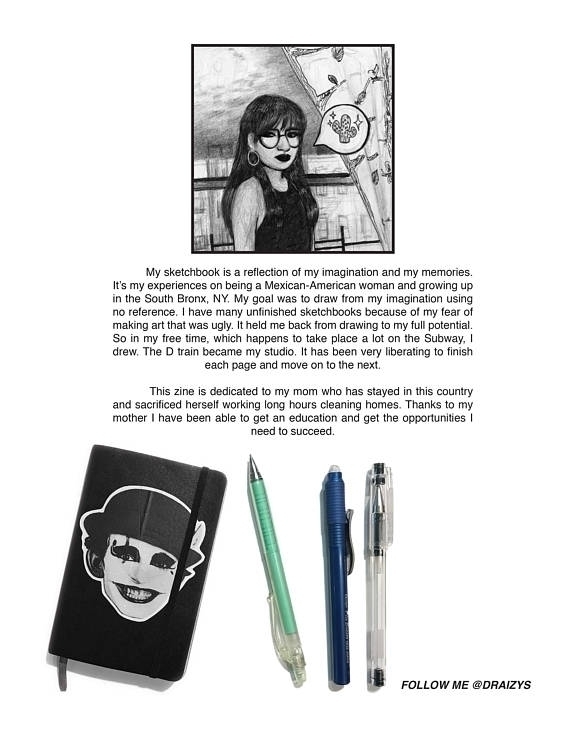 These drawings are a reflection of my experiences as a Mexican American woman from the South Bronx and my dreams. I hope that you are able to connect to my work in some way and maybe see the world a little different.